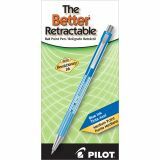 Pilot Better Retractable Ballpoint Pen, Medium 1mm, Blue Ink, Trans Blue Barrel, Dozen - Retractable pen features a stainless steel point, stylish metal clip, crystal-clear barrel and nonslip grip. 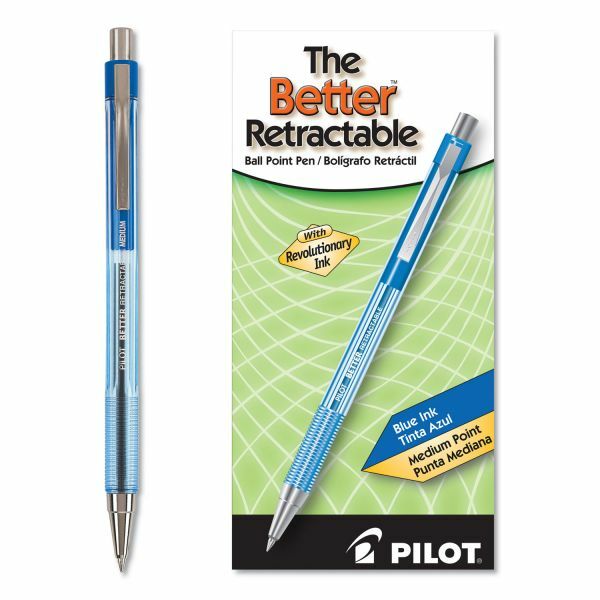 Stainless steel point delivers consistent writing. Ribbed finger grip affords comfort and control. 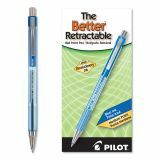 Better Ballpoint Pens are refillable.